Victoria – The Government of British Columbia has filed its final argument in the National Energy Board’s (NEB) reconsideration of the Trans Mountain Pipeline Expansion Project. In its position as an intervener in this new NEB review, the Province’s focus remains on defending the interests of British Columbians and protecting its environment, economy and the coast. (Ironically this comes days after a property fire near the tanks at the Burnaby Mountain Refinery). The Province recommends against the approval of the Trans Mountain Pipeline Expansion Project. The submission outlines concerns about the impact an oil spill could have on B.C.’s environment and coast, as well as the ability to effectively respond to a spill. The argument highlights the potential impacts that increased oil tanker traffic would have on southern resident killer whales. The final argument covers a range of additional topics related to marine spills, including the gaps in the federal Oceans Protection Plan, the fate and behaviour of diluted bitumen in marine environments and the ability to respond to a marine spill in adverse weather conditions. If the project receives federal approval, the final argument proposes a number of additional conditions to improve the safety of the project, including conditions aimed at improved spill response times and reducing underwater noise, as well as stricter reporting and public transparency. 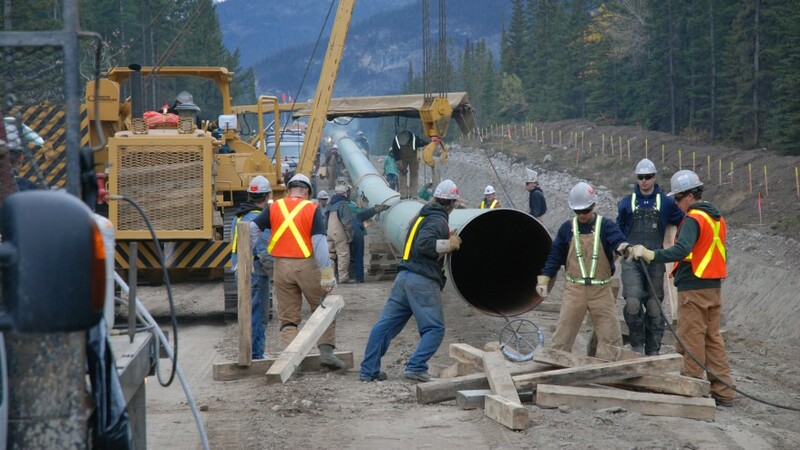 The Province maintains the proponent has failed to prove the case that twinning the existing pipeline, and significantly expanding current volumes of bitumen crossing B.C., is necessary. Be the first to comment on "Province Of BC Files NEB Argument Against Trans Mountain Expansion Project"